This video was made in response to a video called called "Here's How Much Money A Hit Record Gets You As A Producer" , that I watched, made by YouTube user KYOKU. The video contained several errors when it came to making a hypothetical answer to come up with the amount of money that a producer generates from a hit song. It is very hard to calculate exactly what a hit song generates unless you have someone's contract in your hand along with Worldwide radio data, streaming data and other data, which may be very hard to come by. There is no real way to determine how much a hit song will make. After a hit song runs it's course, that song has the possibility to be revived and used in some way, on a later date, on commercials, films, video games, TV shows, leaving possibility to generate unforeseen revenue. There are also cases where a song wasn't a hit in the past, but elements of the song may be sampled or lyrics may be used in newer songs, by current artists, generating unforeseen royalties for songwriters. Songs continue to make money, even after you die, therefore, you can never predict how much money a song will generate. In this video, I discuss the Four Types of Music Royalties. The four types of music royalties are "Performance Royalties", "Mechanical Royalties", "Synchronization" & "Print Music Royalties". There is also now a new royalty which generates money for artists (performers) called "Digital Performance Royalties", which is collected by SoundExchange. Everyone's contracts and every songs copyright split is different. 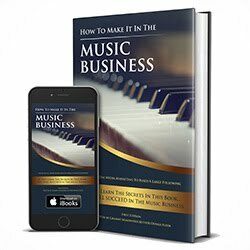 You can ask a successful producer to give you an estimate of how much this or that song made, thus far, but there is no real way to give a definite answer on how much a producer makes from a hit record. Publishing is a topic which is often very misunderstood in the music business. I have been studying publishing for the past few years and here is my response.